Thu., March 16, 2017, 11 p.m.
SEATTLE – Washington is expected to become one of the most desirable destinations in college basketball after its decision to fire Lorenzo Romar but one with a lot of question marks. 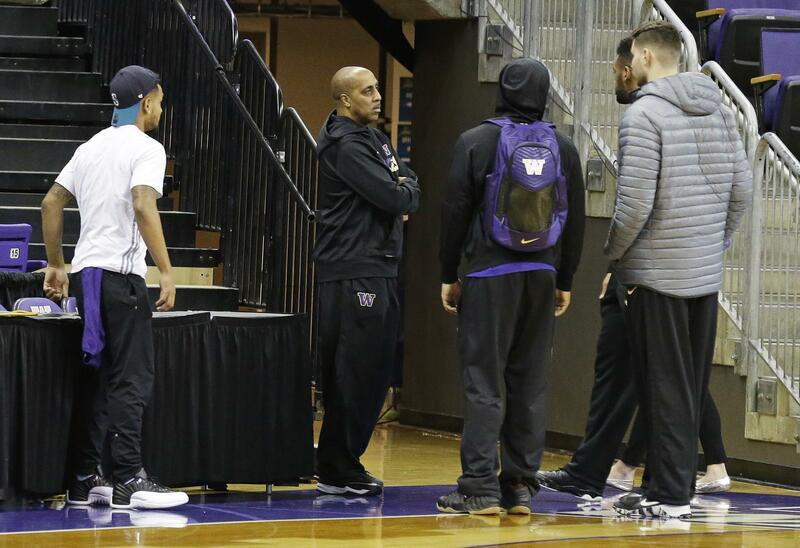 What’s not clear yet is how much Romar’s firing Wednesday will affect the Huskies roster going into next season and how quickly a new coach can rebuild the foundation. It’s likely that Washington’s roster will be gutted by the decision. That was the risk athletic director Jennifer Cohen was willing to take by releasing a coach who was almost universally beloved by current players, alumni and especially an incoming recruiting class that featured arguably the best high school senior in the country in Michael Porter Jr. But Cohen made it clear that one recruit or one class was not going to sway her decision. That recruiting class was the reason many believed Romar would get at least one more season. Porter, Daejon Davis, Jaylen Nowell and Blake Harris were supposed to form the foundation of a team that had Top 25 potential going into next season when combined with the returning players. While it was a given that Porter would be a one-and-done player, the others were expected to be around for at least a few years to potentially stabilize the program. All of that is at risk now. Porter is unlikely to stick around at a school that just dismissed his godfather and likely his father – Michael Porter Sr., an assistant on Romar’s staff. Davis and Nowell are both from Seattle but had numerous other offers. Harris was lured from across the country by Romar’s track record of developing guards for the NBA. “Loved this coaching staff and couldn’t wait to start something special next year…this hurts,” Porter tweeted Wednesday night. The new coach’s job will include trying to persuade those players to honor their letters of intent as well as trying to keep current players. There’s also the potential blowback from alumni who have an affinity for the program because of Romar and spent many summers playing pickup games on campus. Before he ever played a college game, NBA-bound Washington star Markelle Fultz had already played summer pickup games against Isaiah Thomas and Jamal Crawford. Cohen didn’t provide many details about what she is seeking in a new coach. She said the group involved in the search would remain small. Published: March 16, 2017, 11 p.m.